What person does not like to bring a little party favor back home. Party favors are loved by everyone and especially if they are unique homemade baby shower favors. This gives not only a special touch but also shows a personalized approach as these favors are handmade, put together with love. 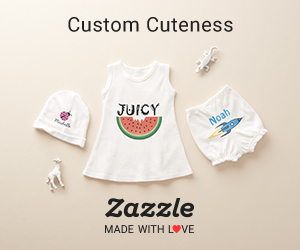 With the availability of different decoration items through online stores, it has become easy to create homemade baby shower favors at a fraction of the price. 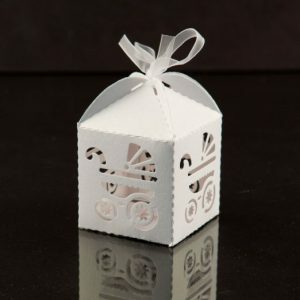 Even if you do not have any previous experience in crafts, creating beautiful party favors for the baby shower is not a big deal. 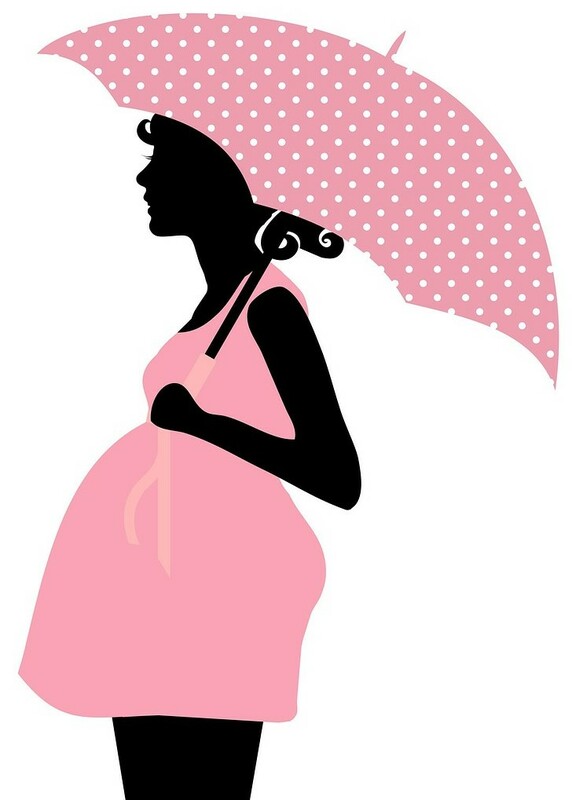 If you think that creating complete homemade baby shower favors is not possible for you and you get scared with the idea of making the party favors, then you have also an option of partially homemade baby shower favors. If you think that homemade party favors mean that you have to hand craft everything, then you are wrong. 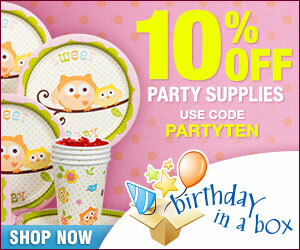 At any online store you can easily find beautiful baby shower party favors under $2 each. This way you can use these items by mixing it with your own idea and wrapping them up with your own style. 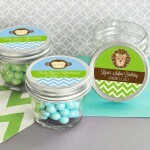 Partial homemade baby shower favor ideas can be for example, votive candles, sugar or salt scrubs. 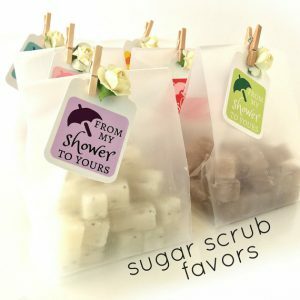 With different stickers, gift bags, bulk jars , wrapping paper, you can easily create a unique homemade favor for the guests. You can easily find stickers in a number of shapes and sizes or if you can’t find stickers you can also cut out labels and tie it with a thin ribbon or cord. Tulle is another option when wrapping party favors, you can make them in a form of sachet bags and they are available in different colors. If you are looking for the partially homemade baby shower favors, then another idea can be to buy small wooden picture frames. This would be a practical baby shower gift. 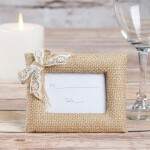 To decorate these frames you can cover them with fabric, paint, glue buttons, or use Washi tape. I love washi tapes as you can create so many craft projects with them, try also to diy your baby shower invitations cards, place cards, or decorate a vase with them to match your baby shower theme. 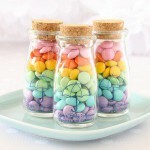 If you are not good in arts and crafts, then another homemade baby shower favor ideas is to give goodies such as cookies, candies, mints, bulk M&M’s , chocolates. No guest will ever say no to this type of treat! You can find many shaped baby shower cookie cutters such as bottles, carriages, rattles, ducks, bears… Kick it up a notch and decorate them with colored icing and sprinkles. You can also write the baby’s name or mom’s name on the cookies with the icing. 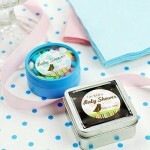 The goodies can be placed in baby shower gift bags, jars, tins or plastic baby bottles depending on the item and quantity. If you are not good in baking, then you can ask someone to help you (maybe your mom, grandma or aunt – they usually make the best cookies) or can buy them at your local bakery store and wrap them in a beautiful package. Just remember that presentation is a big factor, so make the favors beautiful. This will leave your guests feeling special and cared for. 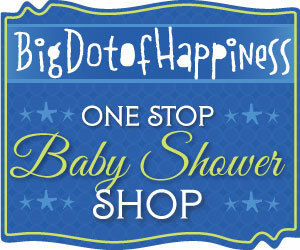 Hope you received some good unique homemade baby shower favor ideas you can make at home. This entry was posted in Ideas and tagged Favors, Unique.